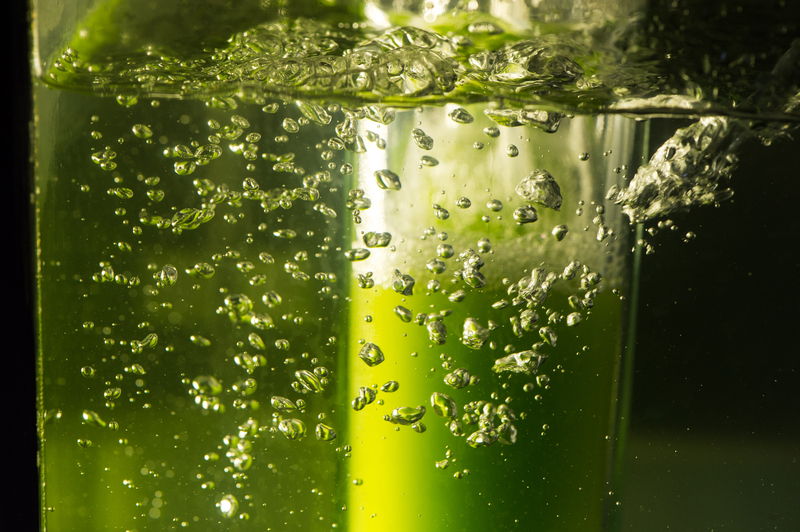 Thus, in addition to producing biofuels, these microscopic photosynthetic organisms also serve to capture carbon from the atmosphere or other concentrated source. The scientist behind Phytonix, Bruce Dannenberg, is said to envision his “facilities being located near sources of carbon dioxide, such as ethanol refineries, oil and gas production plants, cement factories or breweries.” And power companies like Duke Energy are also turning to photosynthesis and exploring technologies to capture CO2 from the flue gas of coal-fired power plants. A Photo Gallery is also available. This article from the journal Applied Petrochemical Research describes the demonstration project at Duke Energy’s East Bend Power Plant. This article is from University of Kentucky News. This article is from Biodiesel Magazine. This small group activity was developed by the Carbon Mitigation Initiative at Princeton University “to convey the scale of effort needed to address the carbon and climate situation and the necessity of developing a portfolio of options.” By the end of the exercise, students should understand the magnitude of human-sourced carbon emissions and feel comfortable comparing the effectiveness, benefits, and drawbacks of a variety of carbon-cutting strategies including nuclear power. The students should appreciate that there is no easy or “right” solution to the carbon and climate problem. Students will learn about the technologies currently available that can substantially cut carbon emissions, develop critical reasoning skills as they create their own portfolio of strategies to cut emissions, and verbally communicate the rationale for their selections. Working in teams, students will develop the skills to negotiate a solution that is both physically plausible and politically acceptable, and defend their solution to a larger group.” Accompanying Slides and Graphics are available for download as well. This game and its creator was also highlighted in chapter 2 of the recent NOVA special, Power Surge which can be viewed online in under 13 minutes. EnergyLiteracy.org is the website for Energy Literacy Advocates (ELA), a non-partisan, non-profit, public education organization “working to improve the energy literacy of all sectors of our democracy.” This website provides, in an easy to read format, a summary of each energy source including information about the pros and cons of each source, facts and figures about each source, and a description of key barriers to implementation where appropriate. In addition, a color coded scale is utilized to enable someone to evaluate the following features of each: Cost of Increased Use, Environmental Impact, National Security, Implementation, and Political Toxicity. A useful activity for students would be to have them combine the ratings for each energy source into one, easy to read table. This could then be used as a basis for further class discussion.